The University of Washington Chose Dura-Trac to protect their sports field and transform it into a premier event venue. Our system is fast. Full transformation in less than 24hours. Our solid backed panels have a weight load capacity of 50,000 Lbs. per square foot. Dura-Trac’s patented slide-lock flooring system is self-aligning and allows for adjacent panels to fit together seamlessly and quickly. There are no hinges to break or loose pieces to be inserted, just slide and lock and you’re done. 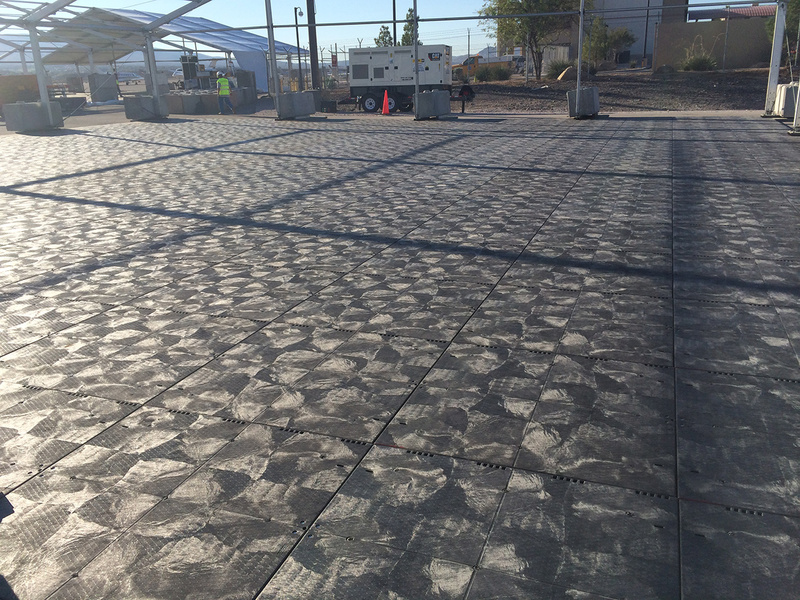 Dura-Trac™ is a revolutionary product designed specifically for the special events industry by special events flooring experts. Made from HDPE plastic, Dura-Trac flooring is designed for speed and ease of installation and compliments the flooring you already own. The patented slide-lock flooring system easily slides together. There are no hinges to break or pieces to be inserted, just slide and lock. The floor is 2 3/4″ thick with a number of accessories to make Dura-Trac more flexible. One of the primary benefits of this product is that it is lightweight with a 4′ x 4′ panel that weighs 50lbs. The load capacity will easily accommodate heavy vehicles, machinery, tents, and structures.